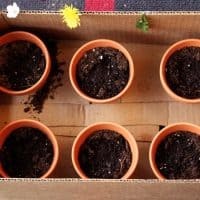 Tips for planting a container garden – what type of garden to set up, and plants you might want to try when working with kids. 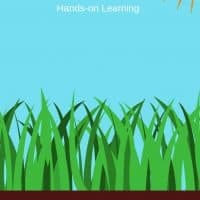 I spent my early childhood living on a farm. I’m raising city kids, but I want them to have a tiny taste of farm life, especially the incredible flavor of home grown food. We always had a couple of big container gardens in our house in Massachusetts. The kids loved planting our garden every spring. 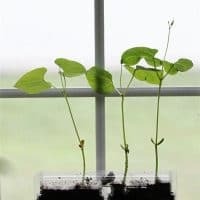 I started a garden in our condo, but my time-tested approach to keeping away pests in Massachusetts didn’t keep the squirrels away. Frustrated by squirrels biting the stems off of pea plants before they even had peas on them, I gave gardening up for a while. But the kids missed our garden. They gave me last summer off since we were traveling, but this spring they asked for a container garden. We have a pretty small back yard, and I wasn’t willing to give up the grass for a garden. Low-set gardens also attract more animals than raised gardens. So I started hunting for container gardens. Eventually I decided to get this raised planter. The planter is high enough off the ground that our 15lb dog can’t get into it. I really liked the water reservoir built into the planter. The reservoir encourages plants to grow roots, and provides plenty of water if we leave town for a few days. My kids love turning our gardens into fairy villages, and a raised planter is perfect for that! The raised planter I bought was unbelievably easy to put together. 13-year-old Emma and I slotted the pieces together in under 15 minutes! A couple of rainstorms filled the reservoir up neatly for us. Then we added soil and planted our seeds. What Grows Well in a Container Garden? 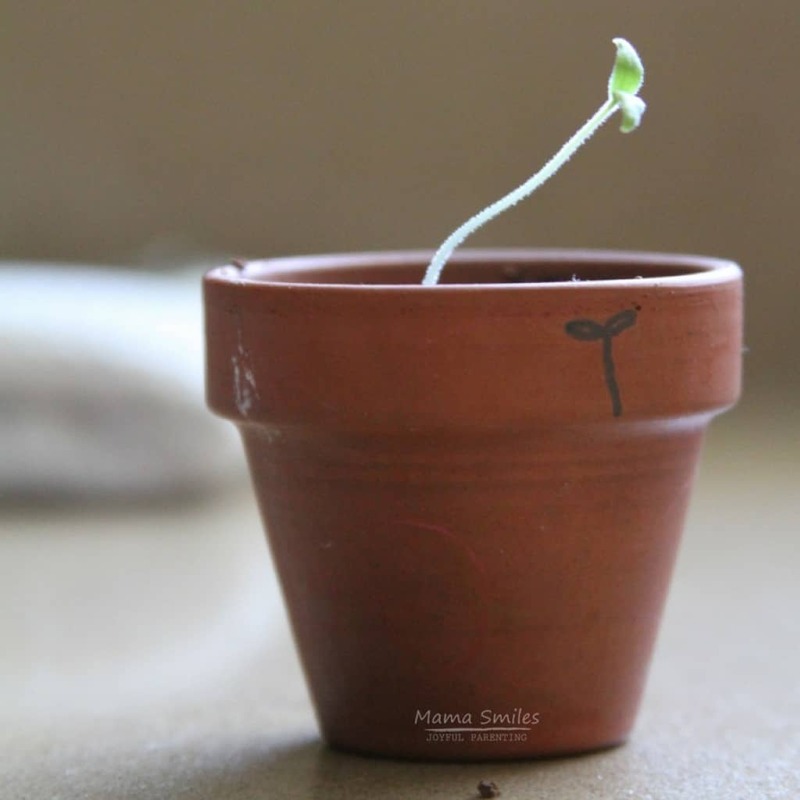 My green thumbed sister can grow just about anything in a container garden! I’ve watched her grow trees, watermelon, and grapes. Emma and I opted for more traditional plants: tomatoes, sugar snap peas, strawberries, and carrots. We bought nursery tomato and strawberry plants, and we love watching them thrive. Pea plants grow quickly; carrots are slower but they seem to be doing well also. I’m excited to see what sorts of fairy villages my kids set up this year as the plants grow larger. Lily and Anna are going through a big Playmobil fairy phase, so I expect they will make an appearance in our container garden fairyland soon! 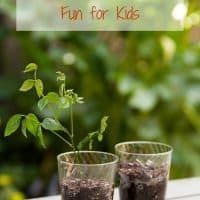 Fun ways for families to garden together. 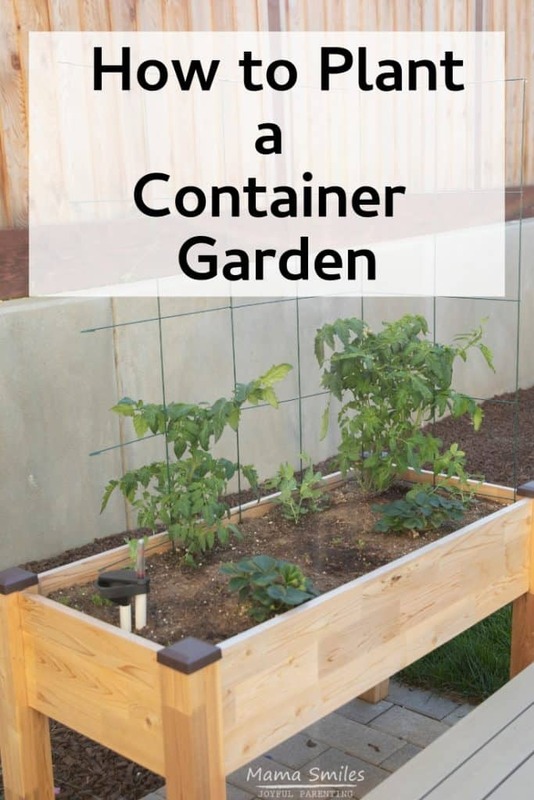 Do you plant a container garden? What fruits and vegetables do you love to grow? I love the theory of having a garden, but I’m terrible at the day to day upkeep of gardens. They do need constant attention! 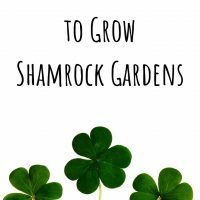 When people ask me what blogging is like, I always say it’s like growing a garden. Lots of rewards, but you have to look after it to see the results!